It's tough enough to have low vision. But how do you decide which magnifier you need, and in what circumstances? This guide can help. If you are among the growing numbers of people with low vision, you may find that a low vision magnifier can assist with tasks such as reading fine print, sewing or viewing classroom presentations. If you need a low vision magnifier, consider visiting a low vision specialist for expert guidance in ordering just the right device for your specific needs, especially if you already have substantial vision loss. The Optelec FarView provides near and distance viewing. If you are older, do you have memory loss and a decline in cognitive function? If so, you probably need to stick with less complex devices. Do you drive and want to continue driving? Some states allow individuals to use a bioptic telescope for reading signs and seeing traffic lights, but an evaluation by a low vision clinician is required to see if you are a candidate for this option. Do you have an occupation or hobby that requires you to see fine detail? If so, devices that provide greater magnification might be more helpful for you. Before buying a low vision magnifier or consulting with an expert, take the time to explore the array of choices available in lenses, video camera magnifiers and lighting. Think carefully about your goals, your budget and what features various devices offer so that you can better communicate your needs, either to a low vision expert or a sales representative marketing low vision magnifiers. This Enhanced Vision Merlin desktop unit enables comfortable reading. How Can Magnifiers Aid Low Vision? As we grow older, some degree of low vision may be inevitable, depending on how long we live. This is because aging itself leads to slow degeneration of the light-sensitive cells in your retina, where vision processing occurs. Magnification is needed when you start experiencing vision loss in the central part of your retina called the macula, the area of the eye capable of seeing small letters. A magnifier enables you to compensate somewhat for a damaged macula by helping you use more of the healthy retina surrounding the damaged area to create visual images. Certain eye injuries also can permanently damage eye structures essential for sharp vision. Advanced macular degeneration — a common cause of low vision — can create a blind spot in central vision. This means you can still see better around the edges of your field of view, but you would need a device to help magnify what you see. A video camera magnifier can be adjusted to provide just such magnification. Also, Dr. Jackson explains that people can have blind spots in different parts of the visual field. This means a blind spot can be to the right or left, or it can be shaped like a doughnut. "This is why the optimal magnifier is different for different people," she says. "Every device has advantages and disadvantages. We don't prescribe a device. We have people choose a device that suits their goals and their requirements. And we make sure we show them alternatives." Your eye condition also may cause vision problems that are not detected by simply testing with a standard eye chart. This means it could be difficult for you to see objects against backgrounds of similar colors, meaning loss of contrast sensitivity. You also could develop a color vision deficiency or loss of night vision. To enhance your ability to see in contrast, you will need to address lighting and perhaps try out different color displays on desktop video camera magnifiers. As an example, Dr. Jackson says the contrast on computer and video camera magnifiers can be modified to display white letters and characters against a black background. Which Magnifiers Work Best in Different Circumstances? A student might need a camera-like telescopic device attached to a portable video camera magnifier to capture an image at the front of the classroom. That image then can be enlarged on a monitor on the student's desktop. A mechanic might benefit from a magnifier mounted on prescription eyeglasses, so that hands remain free to work. A handheld magnifier is portable and easy to use when needs are simple. As an example, handheld magnifiers are ideal for checking product labels at the grocery store or quickly looking over the mail. "There is a lot of confusion about the size of devices and the power they have," says Lylas G. Mogk, MD, founding director of the Visual Rehabilitation and Research Center of the Henry Ford Health System in Detroit. Dr. Mogk, an internationally recognized expert on macular degeneration, also is author of the book: Macular Degeneration: The Complete Guide to Maximizing and Saving Your Sight. "Often people will say, 'Well, this one is a 3x and that one is a 6x. So I want the one that's a 6x.' But the disadvantage of magnifiers with higher power is that you then see a much smaller area," she says. "As a general rule, you want the magnifier with the least power you can get away with, in exchange for the largest area you are able to see." If you are an avid reader, you will find that simple magnifiers are inadequate to help you sustain the concentration needed for an extended time period. A small, handheld magnifier greatly enlarges a few words or sentences on a page. But reading something like a novel requires an expanded field of view and the ability to scan ahead in order to see and process information quickly. Another limitation of handheld magnifiers is that they can't be used for task-specific activities such as knitting, which requires both hands to be free. In this case, you would need a magnifier on a stand that can be easily positioned where you need it. Built-in lighting that can help you see better. "Gooseneck" attachments in stand magnifiers that can be easily moved and adjusted to whatever position you need. Various lenses and powers in the same device, so you achieve just the right magnification at the precise distance you need. Also, you may think high-powered reading glasses are the best solution for all your needs. But these types of low vision glasses limit you to seeing objects at a fixed distance that could be less than a foot from your nose. "You need to ask yourself what you are going to do with a device," says Dr. Mogk. "For instance, you can't use high-powered glasses for seeing cards on the card table or chopping up vegetables." Dr. Mogk says the best reading tool for virtually anyone with vision loss is a video camera magnifier. These devices use video cameras that focus on items of your choice and then magnify them on a screen or monitor. Dr. Jackson also agrees that, if you eliminate the cost factor, video magnifiers using video camera magnifier technology have the least downside of any currently available reading devices. With video camera magnifier technology, people may benefit from glasses that focus at this intermediate distance. So to enhance viewing, Dr. Mogk sometimes advises patients to try clip-on lenses with near vision correction applied to regular eyeglasses. The Mobilux Digital handheld video magnifier offers a high-contrast image with AMOLED technology currently used in smartphones. According to the manufacturer, the fast image processing means less ghosting or smearing of images when you move the magnifier. Bioptic telescopes require considerable concentration and quick reaction times for driving, which means they aren't for everyone. Each state specifies whether such devices can be used and — if so — what level of vision is required to be a candidate for this device. "Some of these high-end telescopes that are commonly prescribed may be ideal for students and young people. But you are not going to put these on someone who is 85," says Dr. Mogk. "There's only a niche market for them. They are not broadly applicable, but they are sometimes marketed as being broadly applicable." Dr. Jackson said telescopes clearly are an advantage for magnifying objects that are far away, in the same way that bird watchers and opera fans use binoculars. "But all telescopes decrease the area you see, and they all decrease the light," says Dr. Jackson. "So if you have poor contrast sensitivity to begin with, you could have a lot of trouble looking through a telescope." Television viewing is the most common use for telescopes, when people prefer not to move closer to the screen for a better view. Now that you are better informed and ready to buy a low vision magnifier, where can you go to see what's available? 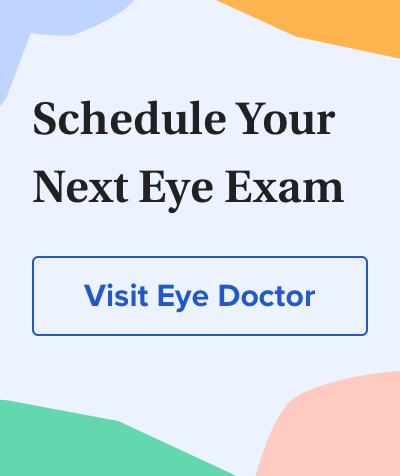 Dr. Mogk suggests that, if you are going to spend more than $500 for a low vision device, it would be well worth your time and money to consult with a low vision expert who can advise you. Also, a specialist likely is associated with a dealer or can refer you to a reputable outlet. With some devices, Dr. Jackson says it's essential that you get some training so you understand how to put features to their best use. Visit and try out more expensive devices before committing to a purchase. Return the device for a refund within a reasonable time period if you find it doesn't work for you. Obtain a warranty enabling replacement or repair if something goes wrong with the device. You also can review low vision devices by asking your eye doctor or other outlets for catalogs. Many low vision devices also are advertised on the Internet. In this case, make sure you are dealing with a reputable outlet. Two major reputable companies that have considerable online marketing are Optelec and Enhanced Vision. Both companies also advertise services such as free demonstrations of certain products. Other major low vision device companies include Freedom Scientific, HumanWare, Eschenbach, S. Walters and Telesensory. "In general, buy a magnifier from a company that has been around for a while," says Dr. Jackson. What Do Low Vision Magnifiers Cost? In some cases such as for Internet viewing, you may not need to make an extra investment if you already have a good computer and monitor. Depending on the software and equipment you have, you can use built-in magnification features to zoom in on text or adjust screens to increase contrast. Also, low vision features increasingly are offered in other devices. For example, the iPhone allows magnification, contrast adjustment and voice output. An iPhone application called "Eyeglasses" magnifies hard-to-read fine print when you hold the device against labels or other printed materials. So if you already have a device such as an iPhone, you may already have access to simple magnification without needing to buy something else. Private insurance and Medicare at this time do not cover the cost of low vision devices. Medicaid covers the cost of some aids. However, Dr. Jackson says that some programs for the financially disadvantaged sometimes will help defray the costs of an assistive device. "All states have state societies for the visually impaired," says Dr. Jackson. "There are also a growing number of sources for secondhand devices." Other potential sources of financial assistance for low vision devices include charitable and veterans' organizations. Ophthalmology and optometry organizations also have membership listings that specify low vision specialists who might be available in your area. Special thanks to the American Academy of Ophthalmology for assistance in providing expert interviews for this article. Michelle Stephenson and Diane Donofrio Angelucci also contributed to this article. *The visually impaired patient. American Family Physician. May 2008. Low vision optical devices. Practice of Geriatrics, 4th ed.2007.